God has done some amazing things in the Rosarito church plant. 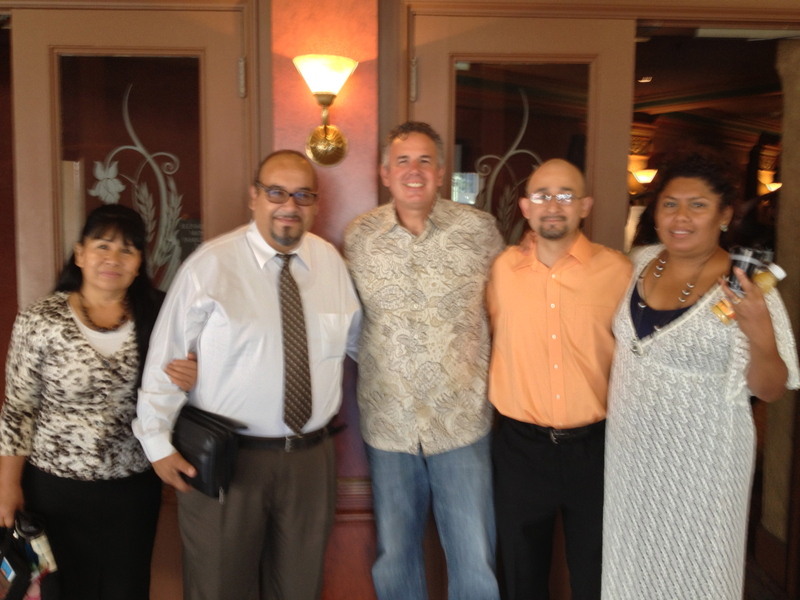 Every time I talk to pastor Leo Nevarez I come away encouraged. 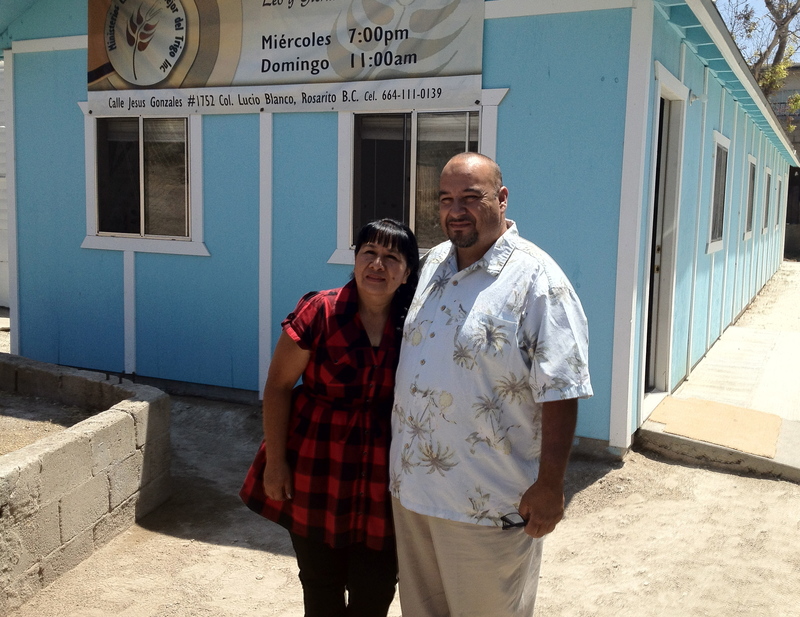 Harbor partnered with Lo Mejor del Trigo to build the new church in May of 2012. A friend in Phoenix suggested that I introduce Leo to the Youth With a Mission (YWAM) ministry which is right near Leo’s church in Rosarito. Leo and his wife, Gloria have developed a close relationship with YWAM. They’ve begun to minister in the community together. It’s a wonderful example of kingdom work. On January 19th YWAM is going to help Leo add-on to their present church, so that they can have more space to minister to children from the community. The Lord is doing a good work as these ministries come together in seeking to be a blessing in the community. Earlier this last summer someone read a blog post I had written about the homeless in Rosarito. God moved them to contact Leo, and they’ve begun to help to reach out. They donated 200 backpacks to children, so that they could carry their books to school. Then they gave some land that the church is hoping to use as a drug rehab center. The Lord uses things like this to bring about change. I praise the Lord with Leo and Gloria as God’s blessings keep rolling down. Lord, continue to encourage Leo and Gloria and their church as they reach out in their community, as they seek to make a difference for Christ. Isn’t God amazing? Praise Him! Praise Him! If we would only believe, and seek Him above all else. How rich our lives would be! Thank you Dave for keeping us up to date. Thank you so much for sharing what God is doing! It so encourages us as we pray. Praying that God continue to bless you and encourage you each day! Thank you for visiting my blog, and thank you for the blessing of your ministry. This post was a blessing to me in numerous ways! The scripture moved me to tears (happy tears), “..who forgives all your iniquity, who heals all your diseases, who redeems your life from the pit, who crowns you with steadfast love and mercy, who satisfies you with good so that your youth is renewed like the eagle’s..”. God bless, and take care. I’m glad The Lord used my blog to encourage you. God does give us so many wonderful promises! What a heartwarming post! Thank you for sharing. He meets us at the point of our needs. How gracious and kind is He. We are praying for a miracle at our small inner-city church. Inner-city churches are having to close their doors for lack of funding. We are holding on to His promises. I Pray that things start to turn around for ministries there. I’m glad that our story could encourage you. Glad I could encourage you – thanks for your comment and for checking out what we are doing on the border! God is so good and He provides all we need as we need it. Faith is awesome! Thank you for visiting my blog. What a wonderful story this is about these ministries! May God bless you as you continue your work. Thank you – I pray the Lord blesses you as well.